Kalmah have shared their new single “The Evil Kin.” The song paves way to the April 6 release of the band’s long-awaited eighth album, Palo. The album will be released on vinyl, CD, and digital formats. Founded in 1991 and firmly led by guitarist-vocalist Pekka Kokko, Kalmah in 2018 features guitarist Antti Kokko, drummer Janne Kusmin, bass player Timo Lehtinen, and the runt of the bunch — keyboard whiz kid Veli-Matti Kananen, who has been with the band since 2012. 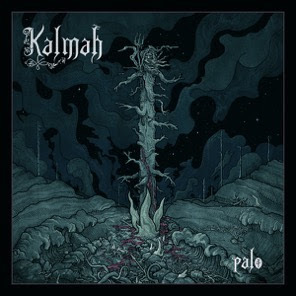 Palo marks a moment where, after years of toiling in the underground, Kalmah is coming to their own. 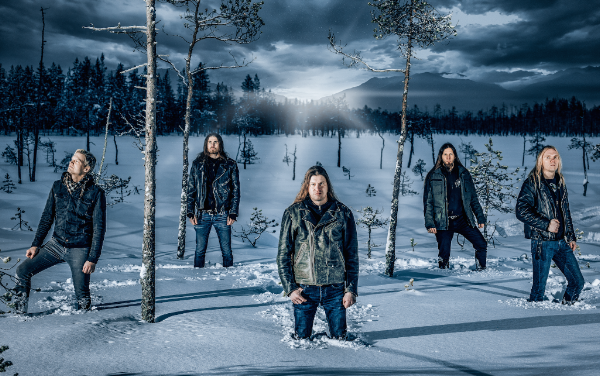 Now armed with a killer new album chock-full of melodic death metal excellence, Kalmah are pre-destined for great things in 2018. In a time when others in the melodic death metal genre increasingly laps up influences from more commercial and contemporary genres of music, Kalmah stay true to their roots of death metal, Finnish melodic heritage, cantankerous never-say-die attitude, and themes of Northern nature and the folly of mankind. Palo presents its listeners with a set of songs that with their web of melodies and in-your-face aggression exemplify the band’s ongoing evolution towards becoming an international death metal powerhouse. January 25, 2018 Bernard Cana General Announcements, New Release, On Tour Comments Off on DIMMU BORGIR Unveil Title, Artwork And Release Date Of Their First Studio Album In Over 7 Years!